We have a dog that has a real talent for getting under foot. For our 2012 family Christmas card, I thought it would be funny to show him on the ice, wreaking havoc with my daughters‘ skating. 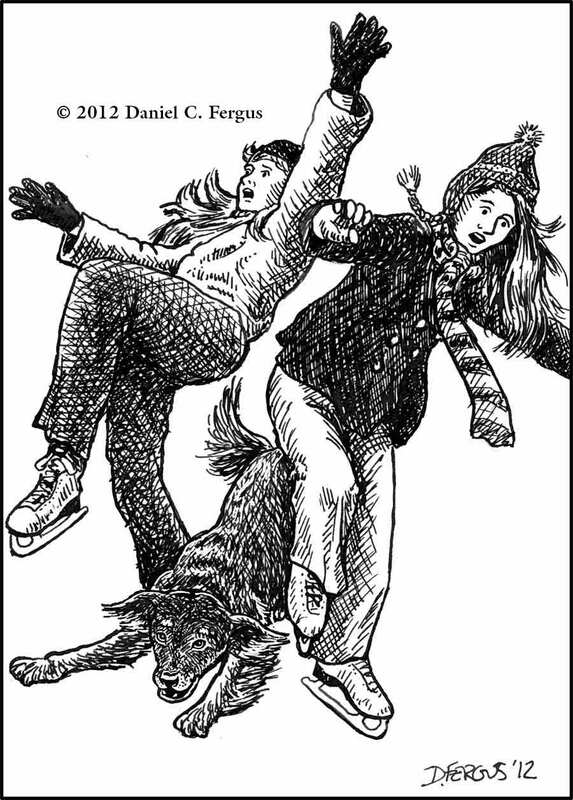 Don’t worry, this depicts a fictional event—not dogs, nor people were hurt in the making of this card. I don't think our dog has ever been on ice.